How do I determine if my child is overweight or obese? Your doctor or pediatrician determines whether or not your child is overweight by comparing your child’s weight and height ratio to their age and growth patterns. Some of the most common causes are: genetic factors, lack of physical activity, unhealthy eating patterns, or a combination of these factors. In rare cases being overweight is caused by a medical condition such as hormonal problems. 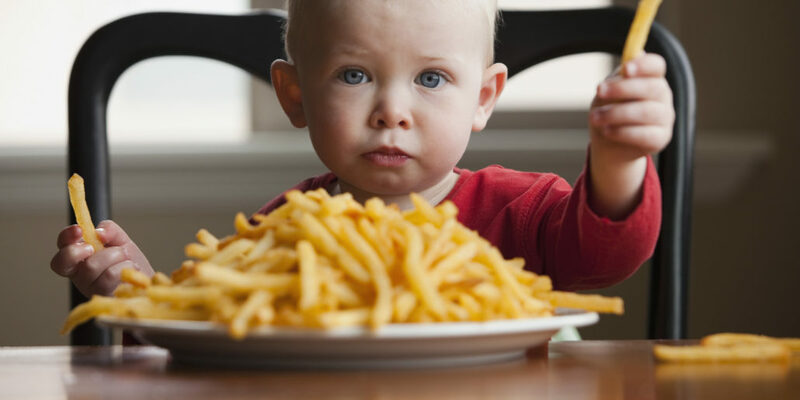 A child’s activity level and diet are one of the most important factors in determining a child’s weight. Currently, children spend an average of 4 hours a day watching television, gaming or using computers! Are obese or overweight children at greater risk for disease? First, be supportive of your child. Often their feelings about themselves are based on your feelings about them. Accepting your child at any weight will help them feel good about themselves. Discuss your child’s weight with them and allow them to share their concerns with you. Be a positive example! Go on a family walk, go biking, or swimming together. 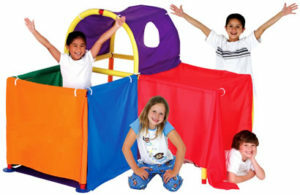 Engage your child in family game nights requiring movement. Evaluate the family diet. Decrease or eliminate sodas, chips, candy, fast food or processed meals. Try integrating a more balanced diet with fruits, vegetables and low-fat protein options like chicken, fish or tofu. The physical therapist evaluates aerobic capacity, postural control, motor and sensory function, balance, endurance and gait. From the assessment, the therapist develops a specialized plan/treatment focusing on safe/efficient movements, aligned posture, flexibility, balance, strength, and endurance. A home exercise program helps the family continue with the child’s success and progress towards a healthy lifestyle. 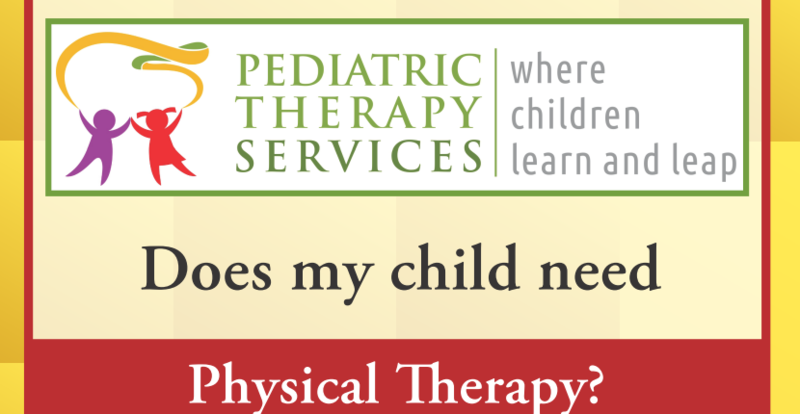 https://ptsbeyourbest.com/wp-content/uploads/2018/02/physical-therapy-brochure-thumb.png 479 830 mdmllc https://ptsbeyourbest.com/wp-content/uploads/2018/02/MainLogo.png mdmllc2018-02-09 16:13:022018-02-23 15:13:21Does my child need Physical Therapy? Babywearing is the practice of wearing or carrying a baby in a sling or in another form of carrier. Babywearing hs been practiced for centuries around the world and has gained popularity in the industrialized world in recent decades. 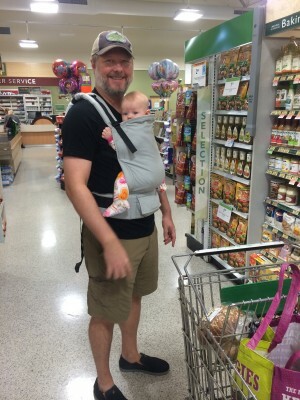 What can Babywearing do for you and your baby? Babywearing is awesome for bonding with baby as you are always touching your baby when babywearing. Because your hands are free you are able to get more done while still having your hands available to touch baby. Babywearing promotes your baby’s healthy development and assists in preventing or lessening David Bakhtiari Youth Jersey Torticollis and Flat Head Syndrome (plagiocephaly). While babywearing you are able to check that your baby Davon House Authentic Jersey gets equal head-turning. You are able to catch any asymmetries in head turning and try simple strategies to help your little one stretch and strengthen out of them. Baby wearing can be great for your baby’s development, when it’s done safely and correctly. There are tons of different styles of slings, wraps and carriers and each should come with directions and safety information to follow. But here’s one safety check you’ve probably never heard of that is super important for your baby’s health and development. Newborns most often rest a cheek against your chest when worn while older babies frequently lean their heads back from your chest and turn to look around while worn. 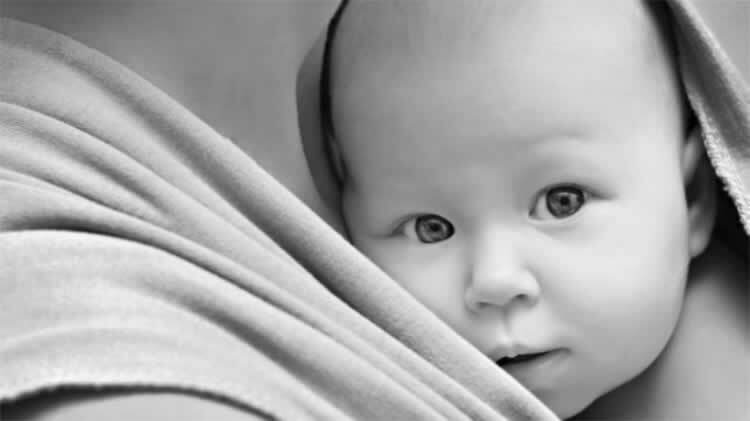 Regardless of your baby’s age and what type of sling, wrap or structured carrier you use, check which direction your baby’s head is most often turned when worn. If you notice your baby spending more time looking one direction or with one cheek to your chest more than the other, help and encourage your baby to turn the opposite direction. Alternate the hip your baby straddles to encourage looking, turning, and balancing in both directions. Hold and carry your baby facing away from you to encourage him to watch the activities in the room by turning his head. Carry your baby belly down, with your arm supporting underneath his chest. Younger infants will need their heads and chest supported, but as your baby gains strength in the neck and trunk muscles, less support is needed. Lie on your back and hold your baby on your chest facing you. This will encourage your baby to lift his head to look at you. Place a pillow, small towel, or blanket under the baby’s chest to help your baby lift and center his head. Play on the floor with your baby. Place toys on both sides to encourage turning of the baby’s head and reaching with both hands. Place your baby on your lap. Raise one of your legs higher to make it easier for him to lift his head. Adjust positioning so the baby can watch you with his head centered, rather than off to one side. Place the baby in your lap facing you. Sing, make eye contact, snuggle and center his head, as needed. 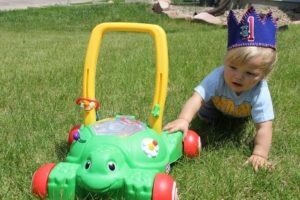 Place fun and interesting toys equally on both sides of your baby to encourage turning to both directions while on his tummy or back. Change the side your baby lies on, even if he prefers just one side. Feed your baby in one arm, then switch to the other side for the next feeding, so the baby begins to look and turn equally to both sides. Sit with your back supported and knees bent. Position your baby against your legs, facing you. Feed your baby with the head positioned in the middle. Try placing your baby belly down on your lap when burping. Position your baby on his back to sleep. Place your baby at the opposite end of the crib every other night.